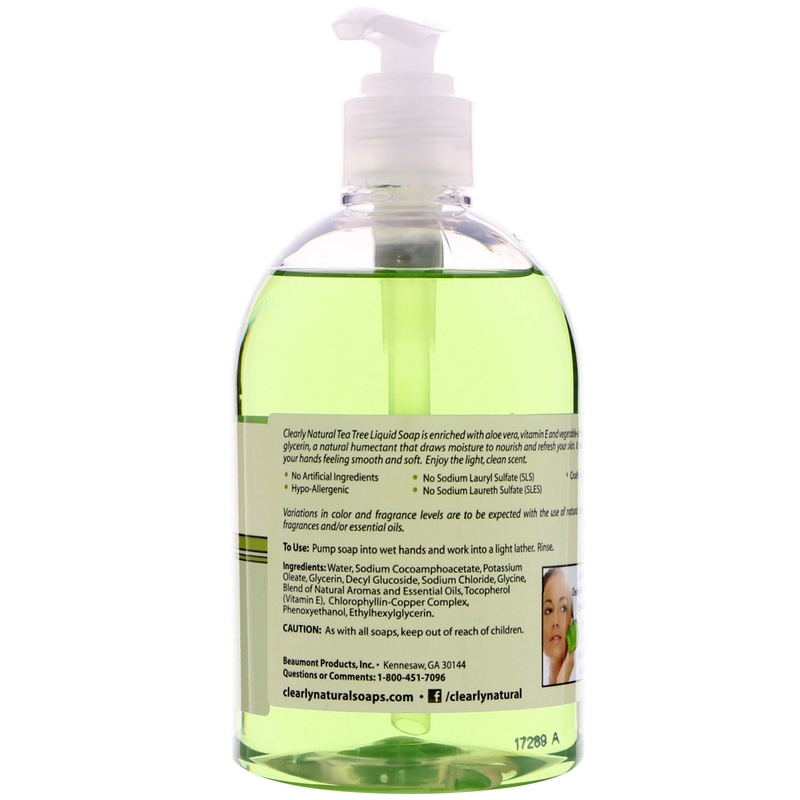 Enriched with vegetable glycerin, aloe, and Vitamin E to gently cleanse, moisturize and refresh. 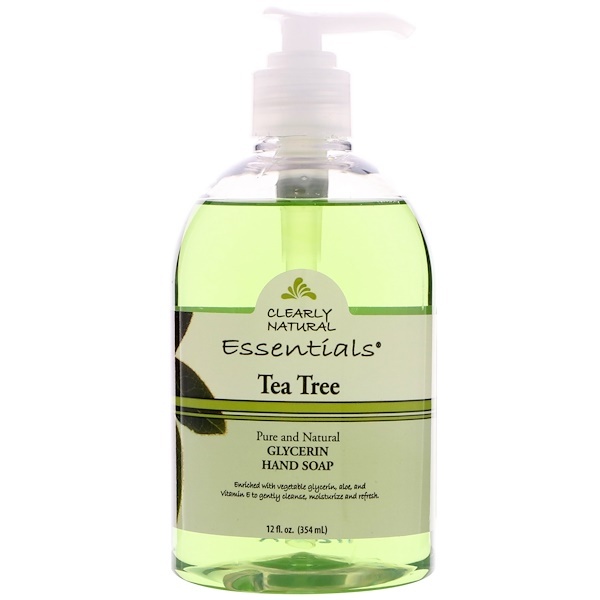 Clearly Natural Tea Tree Liquid Soap is enriched with aloe vera, vitamin E and vegetable-derived glycerin, a natural humectant that draws moisture to nourish and refresh your skin. 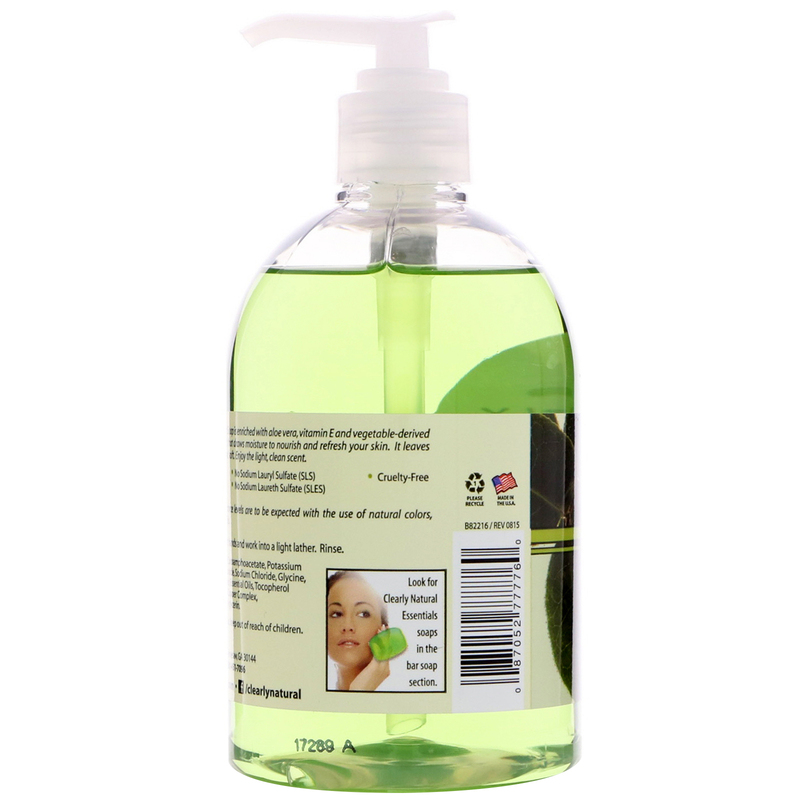 It leaves your hands feeling smooth and soft. Enjoy the light, clean scent. Caution: As with all soaps, keep out of reach of children.